The actual laptop is ASUS A8JR, but this instruction should apply to removal the Asus A8 W3 W3000 series laptop keyboard. First of all, turn off the ASUS A8 / W3 and disconnect the power adapter, remove the battery. 1. Open the Asus A8 / W3. Push the 4 latches in with a pair of tweezers or a flat secrew driver and lift the keyboard plate up. 2. Slide forward the A8 / W3 keyboard and pull the keyboard up. 3. Turn over the A8 / W3 keyboard and place it on the palm rest. Unlock the keyboard cable connector and disconnect the keyboard cable. 5. 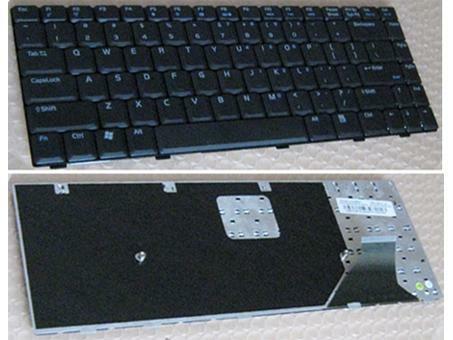 Now, you can install you new ASUS A8 / W3 keyboard.